Living a Fit and Full Life: Enjoy 10 Minutes in the Word: Psalms from Zondervan! Enjoy 10 Minutes in the Word: Psalms from Zondervan! At only $9.99 and with a beautifully designed interior, 10 Minutes in the Word: Psalms is small enough to easily slip into a backpack, handbag, or diaper bag. Keep it on hand for whenever you have a spare moment to connect with the Lord. Enjoy 10 Minutes in the Word: Psalms from Zondervan! 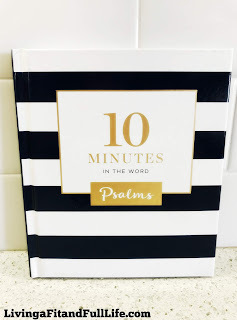 10 Minutes in the Word: Psalms from Zondervan is the perfect way to dive into Psalms everyday. I love that in 10 minutes I can feel closer to God and His Word. The cover is elegant making this a terrific gift for just about anyone who wants to grow closer to God. 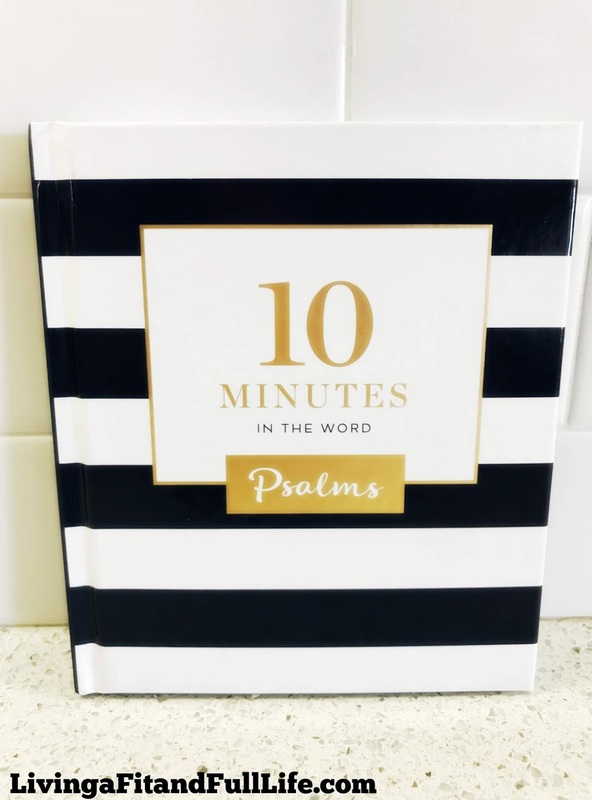 10 Minutes in the Word: Psalms from Zondervan is the perfect way to grow closer to God, even with a busy schedule! 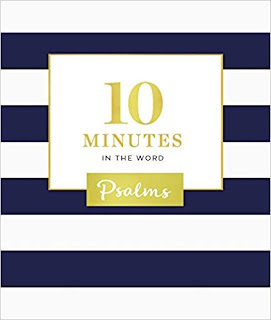 You can find 10 Minutes in the Word: Psalms by Zondervan on Amazon, Barnes and Noble and other bookstores.